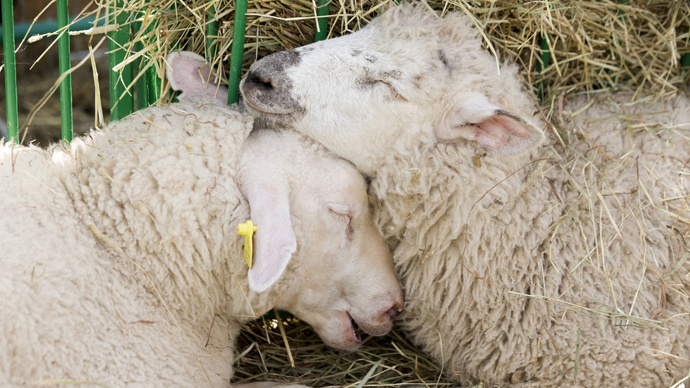 The next time you're lying in bed counting sheep, don't picture the woolly animals jumping over a fence. Instead, imagine them playing follow the leader across a row of hay bales. An online video has proven that sheep really do enjoy that game. Set in the rolling countryside, the footage begins with the leader of the pack jumping from one hay bale to the next, taking advantage of the only objects in his field. The others soon follow suit, though we're unsure if that is to avoid being the black sheep, or because the leader is a bit of a woolly bully. Once they reach the end of the row, they take a breather, which is unsurprising considering sheep are more known for eating than exercise. They eventually attempt a return journey across the hay bales, but promptly give up. The reason for that isn't exactly known – we'll let you chew the cud on that one.